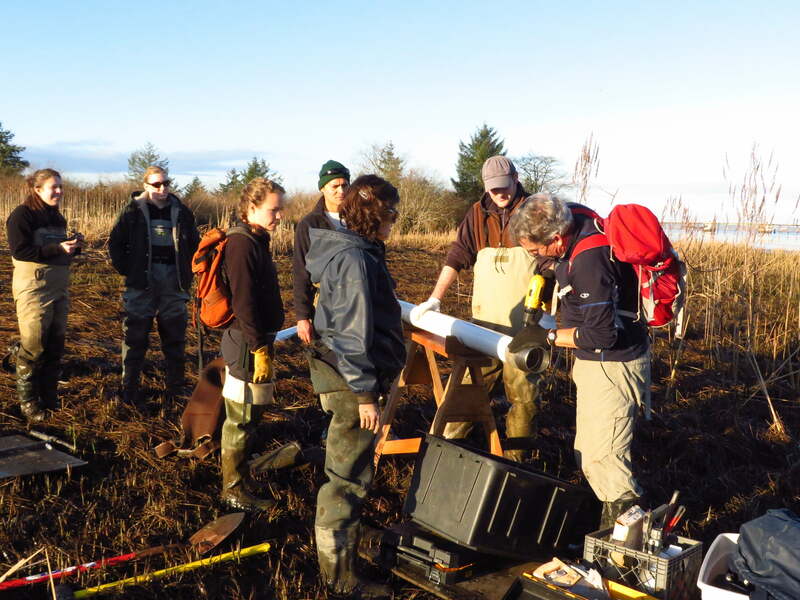 Tidal wetlands can store (or "sequester") carbon, which helps reduce the amount of carbon in the atmosphere... but how much carbon they trap is unknown in the PNW. This spring, the Estuary Technical Group traveled to tidal wetlands in Astoria and Tillamook and worked alongside folks from Oregon State University, the Columbia River Estuary Study Taskforce (CREST), Portland State University, and the Tillamook Estuaries Partnership to try to answer this question. 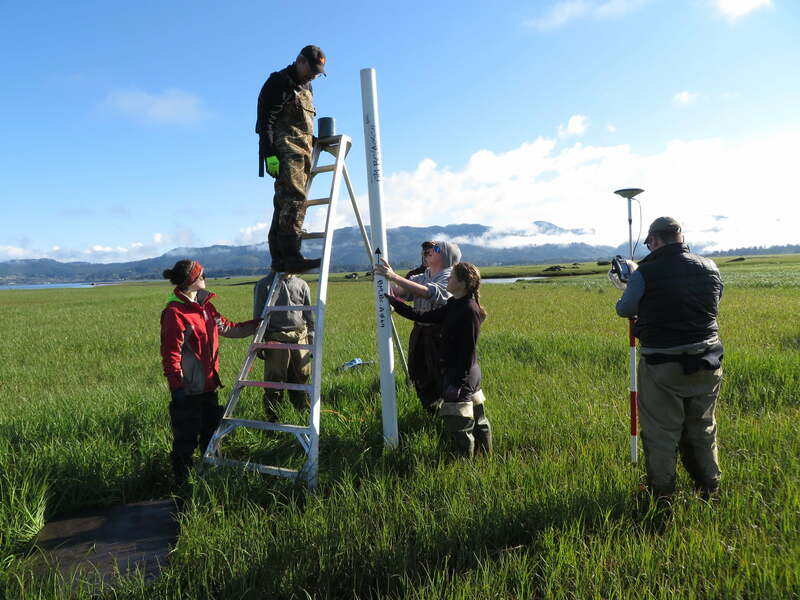 We hammered PVC pipe 2 meters into the ground to retrieve soil cores -- not an easy task! -- then sawed them into sections for transport back to Corvallis. The OSU team is now analyzing the cores in the lab to quantify carbon sequestration rates. Determining carbon sequestration rates and capabilities in these wetlands will improve our understanding of this important wetland function, which is one of the motivators for wetland restoration -- along with native plant support, better water quality, improved fish habitat and the many other ecosystem services provided by tidal wetlands. 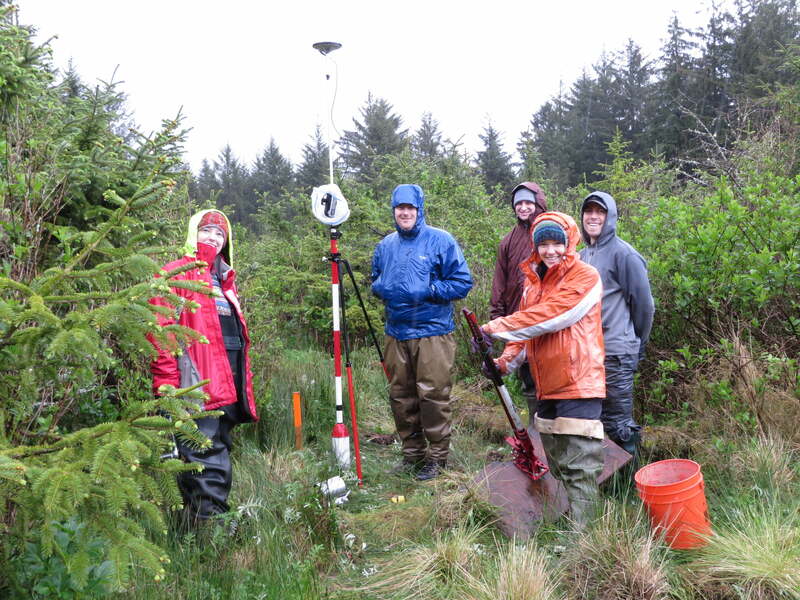 A lovely day for Carbon coring in Tillamook with the ETG Team and volunteers. The sun does shine in Tillamook, Oregon! The coring tool is so tall we needed a ladder. Installing the nose-cone on the corer before pushing it in the ground.